Cape Disappointment did not [understood: disappoint]. An instance of the anaphoric construction VPE (Verb Phrase Ellipsis) in which the antecedent for the ellipted material is not an actual expression in the preceding text, but instead is merely evoked by a word-part in this text, the disappoint inside the nominalization disappointment. The configuration requires some processing work on the part of a reader (or hearer) — it presents a kind of puzzle for you to solve — so it’s jokey, likely to elicit a smile from you, in admiration of Adrienne’s condensed cleverness. Cape Disappointment is a headland located at the extreme southwestern corner of Washington State on the north side of the Columbia River bar … The point of the cape is located on the Pacific Ocean in Pacific County, approximately two miles (3.2 km) southwest of the town of Ilwaco. Cape Disappointment receives about 2,552 hours of fog a year – the equivalent of 106 days – making it one of the foggiest places in the US. The cape was named on April 12, 1788, by British fur trader John Meares who was sailing south from Nootka in search of trade. After a storm, he turned his ship around just north of the Cape and therefore just missed the discovery of the Columbia River. George Vancouver credits John Meares in his account when he saw Cape Disappointment on April 27, 1792.
on 8/20/18 in “Anaphora into proper names”: “Margaritaville” was playing over the sound system, so she ordered one [understood as: a Margarita]. on 12/12/18 in “Prosthetics on an anaphoric island”: He conducted most of his career singlehandedly — the other [understood: hand] having been blown off by a cannonball. This entry was posted on January 18, 2019 at 11:52 am and is filed under Anaphora, Language play, Pragmatics, Processing, Semantics. You can follow any responses to this entry through the RSS 2.0 feed. You can leave a response, or trackback from your own site. 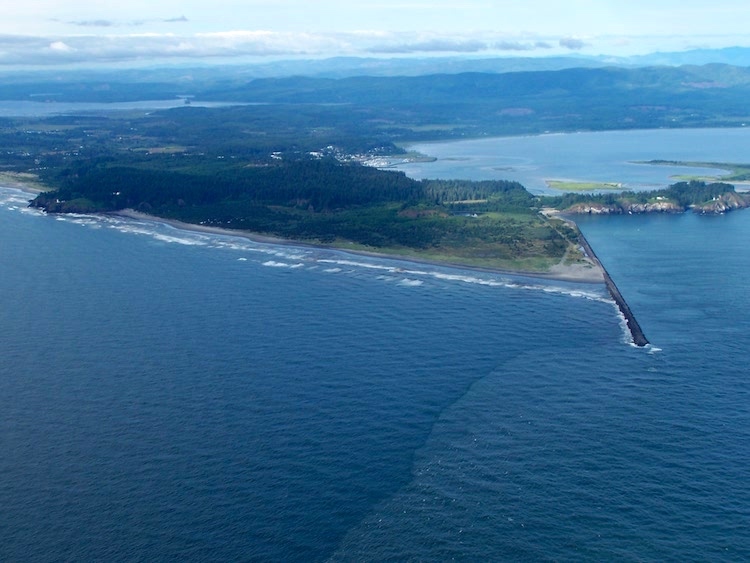 Maybe under the circumstances Cape Disappointment should be regarded as an anaphoric peninsula.